God created us in His image. From His love for us, springs our love for our children. If we understand the power of our love for our children, magnify and purify that love, we will be able to understand God’s love for us. If we, who are imperfect, can use our imperfect love help our children flourish, what more Him who has perfect love for us? I have twins with special needs. 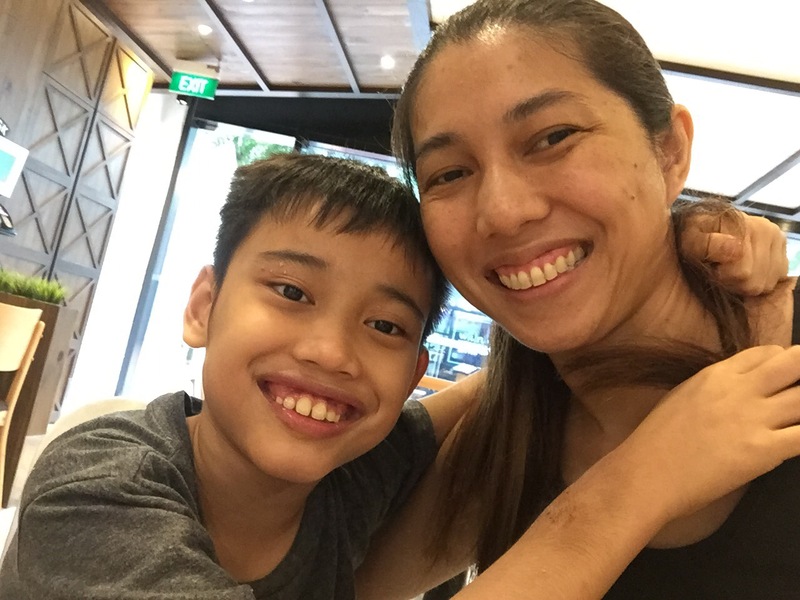 My Daughter, Amor, was diagnosed with Global Developmental Delay, her twin Brother, Nathan, has cerebral palsy and severe autism, a life-long condition characterised by lack of social skills…says Doctors, Therapists and other experts in the field. Nathan used to be so withdrawn, it was as if no body existing in the room. He was without intentional speech and he was becoming more violent and aggressive. I didn’t even know if he knew I was his Mother and that I loved him. Praise God, I was led to a non-conventional therapy (The Son-Rise Program® for autism), that taught me to love my children unconditionally. It taught me how I can manifest that love in a way that my special twins could understand. It taught me not to fear their “different”, repetitive, exclusive behaviours but to join them and enjoy the fact that those sensory pleasures help them cope with their challenges. It taught me to enter their world of autism first, and that was the best way they could understand how much I loved them. It taught me not to look at their deficits but to celebrate all their achievements big or small! It taught me that if my children ask and I grant it with excitement 🎉 they learn that their words are powerful and keep trying to use words, even if their speech is impeded neurologically. It taught me that if I give them “full control” instead of discipline, they will chose to follow my guidance out of their own convictions and not out of fear or pressure to comply. Today my Daughter blossoms. Once her weakness of hearing sensory issues is now her greatest strength and she sings and performs solo for school events. My Son with autism, now speaks spontaneously and persistently. He craves for my social attention. His hugs shows me he loves me. Nathan was once so withdrawn, I didn’t know when I would get hugs from him. Today, I bask in his hugs and love. See photo. Love indeed conquers all. If I, an imperfect parent, can allow love to heal even neurological impairments, what more God’s perfect love for me. Just as I learned to “join” my special twins, He sent Christ, to “join” us so that He could show us His love in a way we could understand. Just as I learned not to fault my children but to celebrate their goodness, Christ came, not to condemn, but to give salvation to the sinners and to heal the sick. Just as I learned to give my children “full control”, we were given free will. And with my free will I choose to Love my God with all my heart and all my might…but the truth is, all my heart and might came from His love for me first! The truth about God is in each one of us!